Venue – MCN Solutions Pvt. Ltd.
For more detail and to register for the event Click here. See you all at the event and learn the technology together. 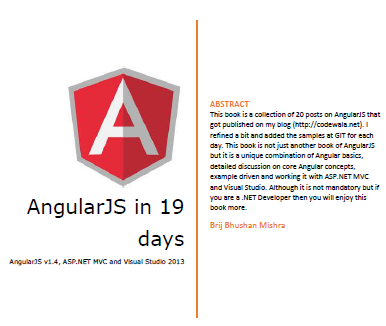 This entry was posted in AngularJS, Event and tagged AngularJS, C#Corner, event. Bookmark the permalink.